For the fourth straight year EA Sports is holding an open beta for the NHL series. What began with NHL 16 being limited to EASHL has since expanded to include several different modes and features. The beta for NHL 19 will begin today and run for a full week, through August 2nd. The beta on PS4/Xbox One includes character creation for use in the new NHL ONES, Threes Drop-In, Pro-Am and EA Sports Hockey League. 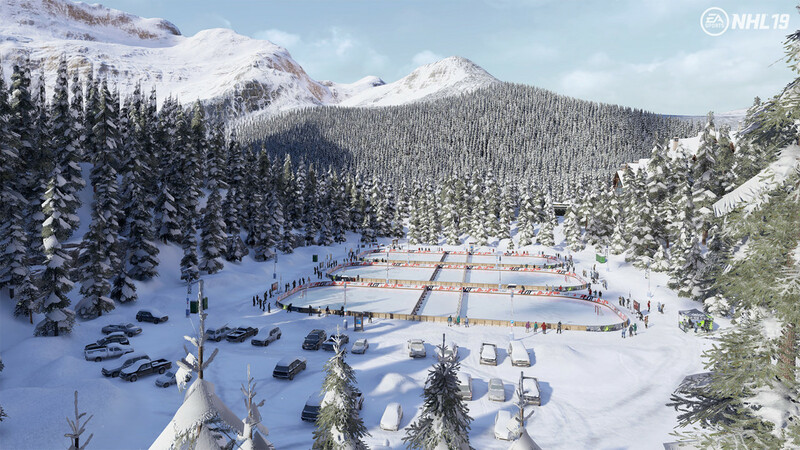 Modes like NHL Ones, Threes Drop-In, and Pro-Am are all designed to help you find the playstyle that’s right for your skater when you go into EA Sports Hockey League. In NHL Ones, competing 1v1v1 will help you decide what class to use, as you look to score more goals than your opponents in any way possible. Dance around the competition with a Dangler, or go for the strong and skilled Power Forward. Create saved loadouts with different height, weight, player class, traits, and specialities for any mode or situation. There’s a style for everyone in the World of CHEL, and you’ll need to find your way before you join an EA Sports Hockey League Club. Another great way of practicing your skills is with Pro-Am, a mode that lets you pick a position for a game of three-on-three with some of the biggest names in hockey. This single-player experience helps you get the hang of various positions in a fun and wide-open competition that will go a long way once you join a team in EA Sports Hockey League. Threes Drop-In offers an over-the-top, arcade-inspired, 3v3 hockey experience, where you can match up with other Threes players and take on opposing squads. Combine the skills you pick-up while playing NHL Ones, Threes Drop-In, and Pro-Am in the World of CHEL as you look to dominate the EA Sports Hockey League. NHL 19 will introduce the Real Player Motion animation system that’s in all EA Sports games this year and outdoor rinks. NHL ONES (1v1v1) joins the NHL THREES that debuted last year as complimentary arcade-style modes when the game releases September 11 (pricier Legends or Ultimate Editions) or September 14.